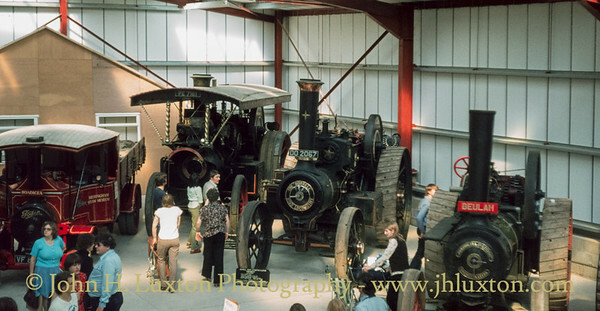 A selection of views of traction engines, steam rollers and associated steam powered equipment. 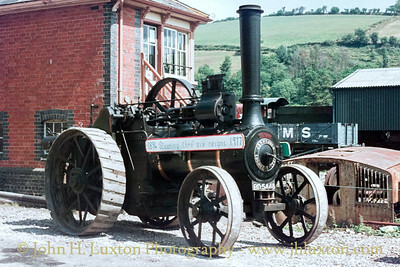 Seen at Buckfastleigh Station, Dart Valley Railway (South Devon Railway). 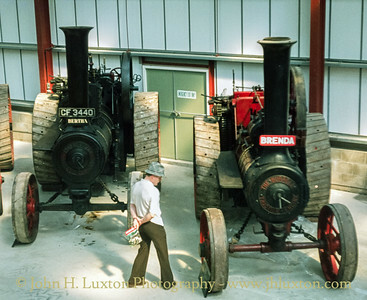 A visitor admires one of the engines on display - Burrell General Purpose Engine 2613, BJ7694 "Brenda" of 1903. 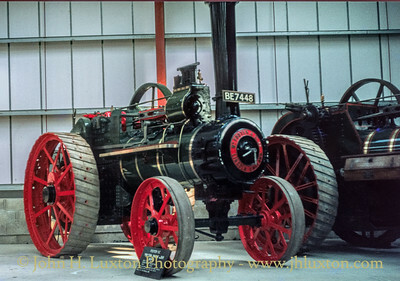 Alongside is Burrell General Purpose Engine 3112, CF3440 "Bertha" of 1909. 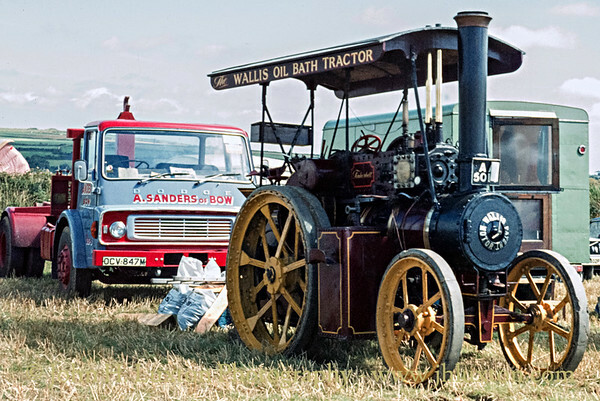 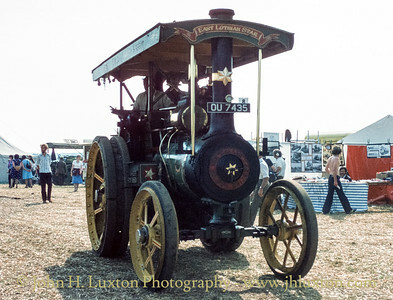 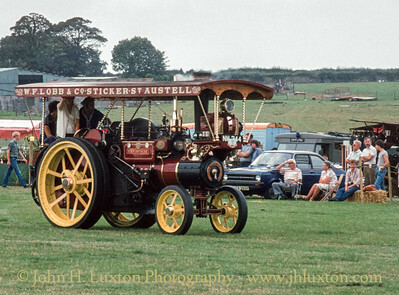 The 1912 built oil bath tractor "Tinkerbell" seen at the West of England Steam Rally in 1979. 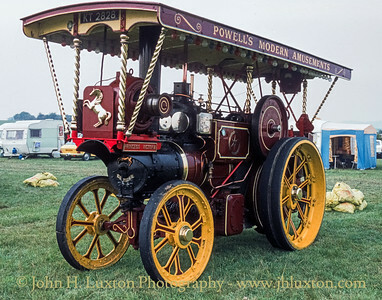 Today the then modern lorry in the back ground would also be considered a classic road vehicle! 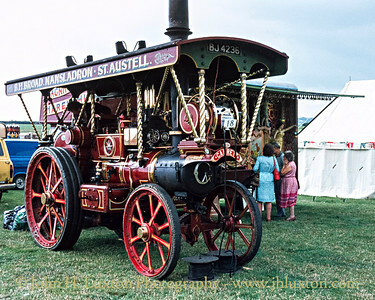 1909 Burrell Showmans Road Locomotive THE GLADIATOR 7nhp Engine No 3159 (CO3823) seen at the 24th West of England Steam Engine Rally held near St Agnes, Cornwall. 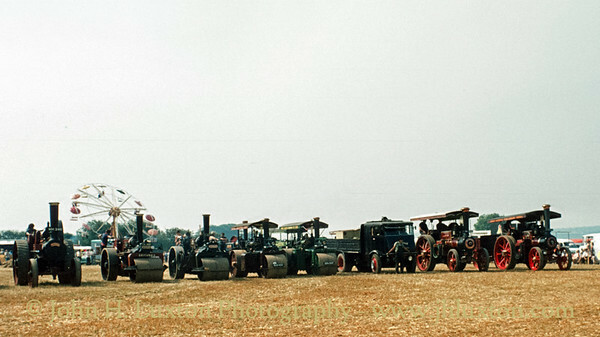 August 1979. 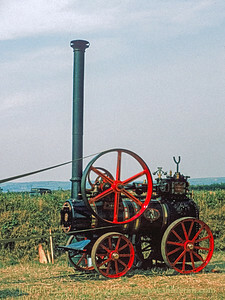 A Marshall Portable Steam Engine and saw being demonstrated at Cornish Traction Preservation Society Rally at Merrymeet, Liskeard, Cornwall in September 1981. 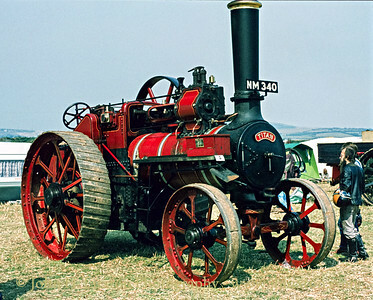 At the time this engine and saw was in daily commercial use according to the rally programme. 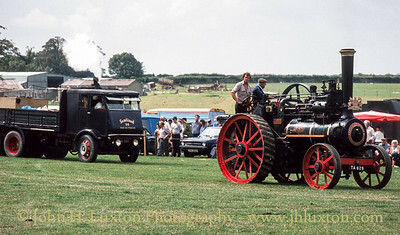 Engines and a steam lorry line up at the Merrymeet Rally near Liskeard in Cornwall. 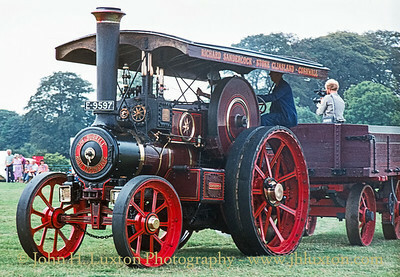 Marshall General Purpose Engine, 69303 "Titan" - Built in 1915, NM 340 at the Merrymeet Traction Engine rally near Liskeard, Cornwall. 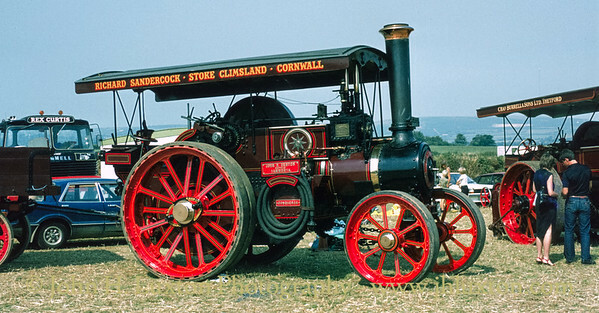 Wallis & Steevens General Purpose Engine 8052, "East Lothian Star" built in 1930 seen at the 1981 Merrymeet Traction Engine Rally near Liskeard, Cornwall. 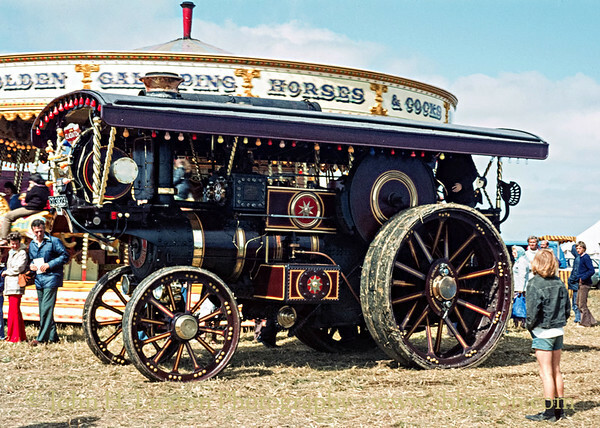 Aveling & Porter General Purpose Traction Engine - 9096 - AF6001 built 1920 on September 03, 1981 at the Chapleton Barton Steam and Vintage Rally, near Banstaple. 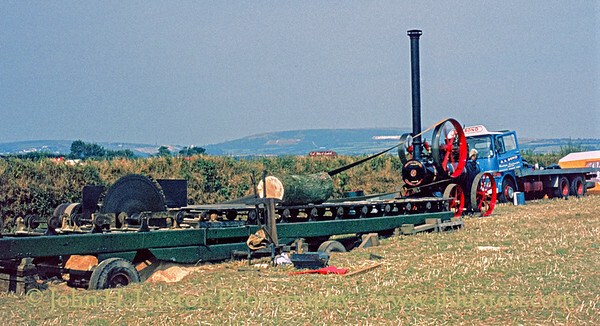 Garrett Tractor - 33353 - BJ4236 - "The Chough" built 1919 seen on September 03, 1984 at the Chapleton Barton Steam and Vintage Rally, near Banstaple. 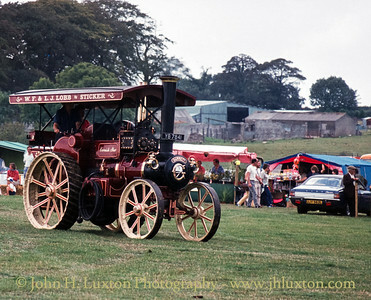 Marshall General Purpose Engine - 38024 - TA 629 "Cressing Temple" - September 03, 1984 at the Chapelton Traction Engine Rally near Barnstaple. 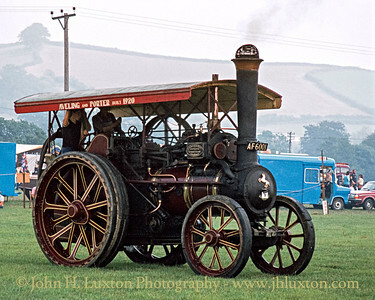 Aveling & Porter Steam Tractor - 8432 - NM244 - "Mendip Star" built 1914 seen on September 03, 1984 at the Chapelton Traction Engine Rally near Barnstaple. 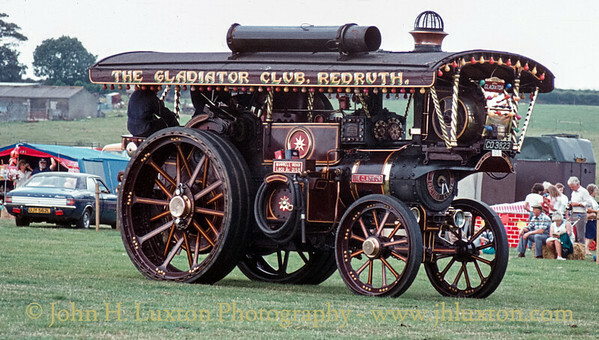 Burrell Road Locomotive 3824, "Lord Fisher of Lambeth" built in 1919 seen at the Chapelton Traction Engine Ralley on September 03, 1984. 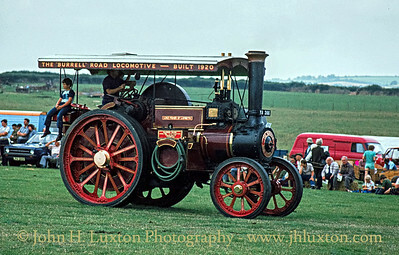 Burrell Road Locomotive - 3996 - E9597 "Conqueror" built 1924 seen at the Chapelton Traction Engine Rally near Barnstaple.